What: Bright Eyes and Desaparecidos frontman, one-quarter of Monsters Of Folk, solo artist, Saddle Creek impressario, and perennial cover star of Non-Threatening Boys Magazine. You know who he is. Why: Though he’s performing under his own name, he hasn’t released a solo record since 2009’s Outer South, which was technically credited to him and the Mystic Valley Band. Prior set lists indicate this is more a revue of his entire prodigious career – regardless of project – rather in support of anything specific. That there is the sound of absolutely none of his fans complaining. Who else: Cold Specks is the very worthy opener for this show. How: Tickets for the show range from $39.50 to $69.50 in advance, but courtesy of Collective Concerts, I’ve got one pairs of tickets to give away for the show. 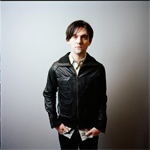 To enter, email me at contests AT chromewaves.net with “I want to see Conor Oberst and I promise I won’t cry” in the subject line and your full name in the body, and have that in to me before midnight, December 3. What else: The Philadelphia Inquirer has an interview with Oberst.